ACADEMIC RIGOR: all students will be engaged at a high level for every instructional minute of every day. ACHIEVEMENT GAPS: all staff will work to eliminate achievement gaps between groups of students and administration will establish a comprehensive system to monitor student achievement individually and guide early intervention. 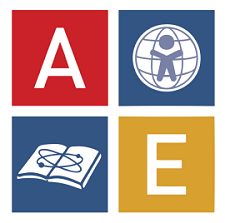 ORGANIZATIONAL CULTURE: all staff will support and enforce the AEA student uniform policies. STUDENT CULTURE: the Board reaffirms its commitment to the IB Learner Profile attributes in a spirit of inclusiveness for all students. GROWTH AND EXPANSION: the Board recommits to the creation of an AEA high school and directs administration to move forward with a plan.